Life's Journey To Perfection: Shake, Shake, Shake Maracas...Homemade Maracas! 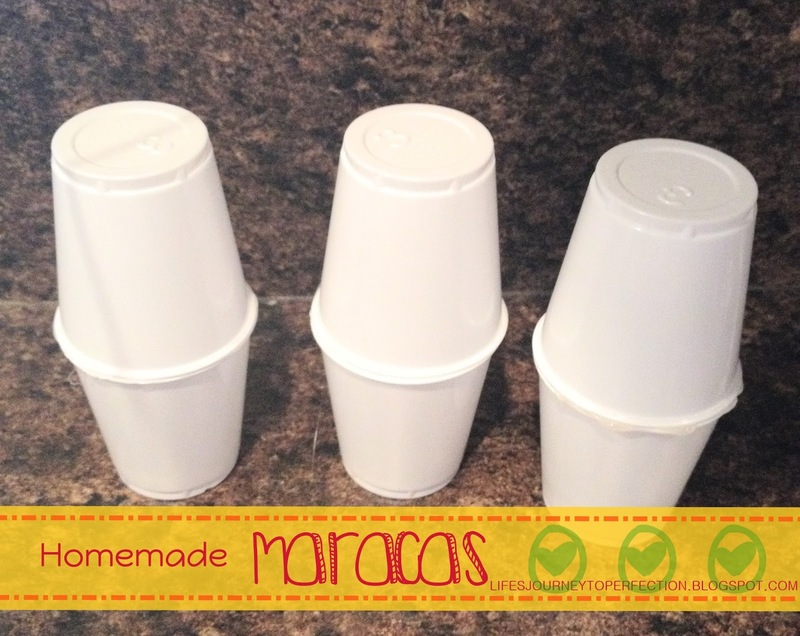 Shake, Shake, Shake Maracas...Homemade Maracas! Now it is time to get the creative juices flowing.... A permanent Sharpie marker is great for drawing on designs. I would do this first before adding on the other embellishments. Duck tape works great, especially in the class room setting because you don't have to worry about glue. When I made mine I used a piece of paper to measure how big to cut the duck tape. I did this by wrapping a strip of paper around the cup, where I wanted to place the duck tape. Then I cut the duck tape to that size. I also used crepe paper on mine to make it festive. I cut strips of the crepe paper crumpled them and glued them onto the cup. The kids were so creative. They used ribbons and bead, duck tape and some even covered their maracas in stickers. Stickers really worked great in the class room! We had some authentic fiesta music playing in the background and it seemed like the kids were having a fun time. The kids all did an amazing job they were so creative! 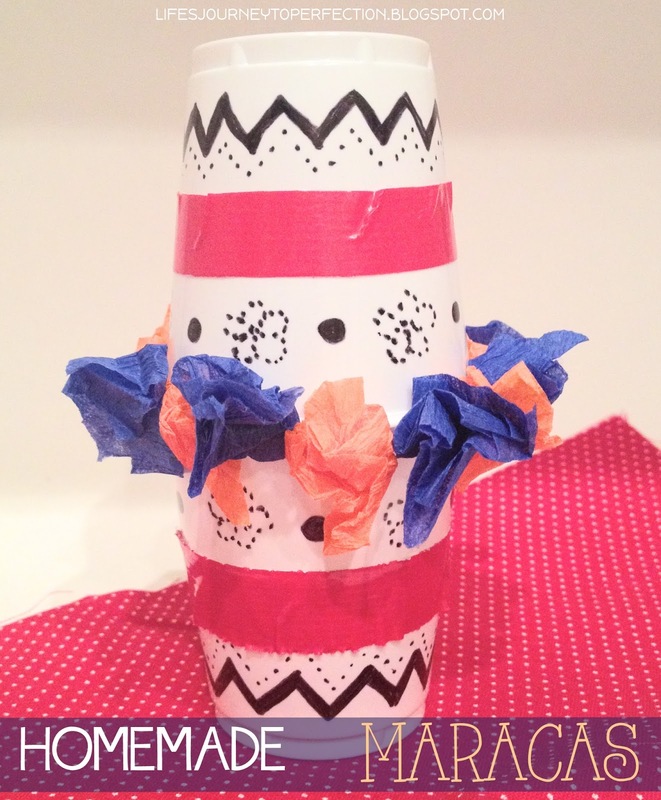 These maracas could be used in so many different ways, they are easy enough for any age to decorate. They could be used in a music class or LDS primary singing time. They could even be a kindergarten or preschool craft. They could be used at cub scouts, or activity days or even FHE.